The Robins Family Forum inside the VHS, with its large, fixed-seat auditorium with wheelchair cut-outs, is one of the best acoustical spaces in Richmond. The Created Equal Film Series continues at the Virginia Historical Society, Thursday, April 6. 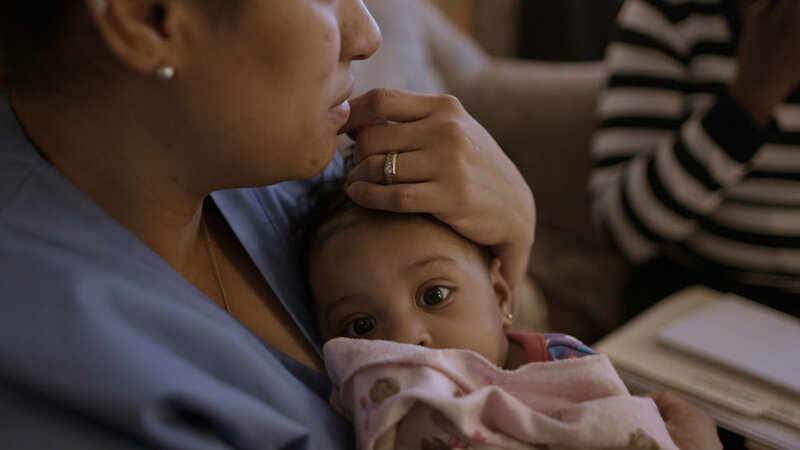 Resilience: The Biology of Stress and the Science of Hope (2016, 68 minutes) explores how stress caused by adverse childhood experiences (ACEs) can devastate children’s lives, especially those living in poorer communities. These experiences, including sexual, emotional, or physical abuse, can lead to a whole host of illnesses and self-destructive behaviors later in life, from eating disorders to heart disease, to cancer and suicide. The film’s overall message is that we should be investing in mental health treatments for children as early as possible. This program is cosponsored by Family Lifeline. After the film, Jeanine Harper, executive director of Greater Richmond SCAN, and Amy Strite, president & CEO for Family Lifeline, will comment. Don’t miss the Created Equal Film Series in honor of Grady W. Powell. All films will be shown at six-thirty. “Resilience: The Biology of Stress and the Science of Hope” is the next film in the Grady Powell Created Equal Film Series at Virginia Historical Society. 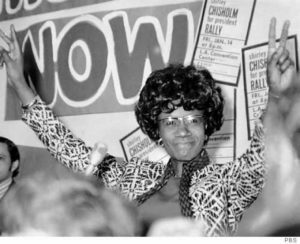 “Chisholm ’72” was the final film of 2017 – the story of Shirley Chisholm, the first black woman to run for president. One Thursday evening last spring, I was eating brownie bites while reviewing my notes in preparation for my upcoming AP US History exam that would take place the following week. I was standing in the Virginia Historical Society’s lobby, enjoying the treats they had provided before showing the latest movie in the Created Equal Film Series. Several people were chatting, spirits were high, and the presentation would soon start. A VHS employee invited the group into the auditorium and the film began after a few words from Paul Levengood, VHS president and CEO. 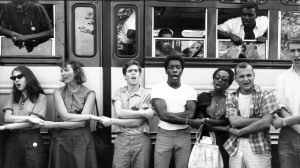 “Freedom Summer” was the first film in the Created Equal film and discussion series. I have been to several films in the free Created Equal Film Series and they get better with each visit. The program is an excellent way to engage in the history of the Civil Rights era through various media and discussion. One of the most interesting parts of the event is the period when the visiting professor or historian from a select area college speaks on the topic, then opens up the floor to questions. This is a time I can use to learn a little bit about Richmond and the South today, as well as yesterday. 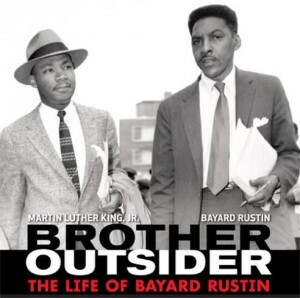 Brother Outsider: The Life of Bayard Rustin was also part of the Created Equal Film Series. The film series focuses on themes related to civil rights, human rights, and social justice in American history. I have been moved by these documentaries about the Civil Rights movement of the sixties and seventies, an era that I know can be easily accessed in textbooks or through scholarly articles. However, when I go to the Created Equal Film Series I realize just how recently Jim Crow laws were dismantled. Members of the audience at the Virginia Historical Society lived through and remember the segregation that is an dark and uncomfortable part of our country’s history. I have been moved by personal accounts of people who participated in the Freedom Rides of 1961. Julius Rosenwald is pictured with schoolchildren in the South. 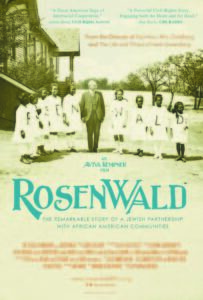 Rosenwald’s philanthropic commitment helped African American communities build schools for hundreds of thousands of students in the twenties and thirties. Last year, the board of trustees voted unanimously to rename the film series, now in its third year, in honor of Grady W. Powell. This is another way the film series is more personal to Richmond. Powell, who has served on the board since 1996 and as honorary vice chair since 2011, has been instrumental in programming efforts to make history at the VHS more relevant and accessible. Powell grew up in Brunswick County and presided over the historic Gillfield Baptist Church, founded in 1788, for thirty-six years. Among his many successful endeavors was his ordination of the first women deacons in a black Baptist church in the United States. The Created Equal Film Series is not just for adults; it is for everyone. The documentaries are striking and memorable, the speakers are knowledgeable and engaging, and the refreshments available before the presentation add to the appeal. I recommend the film series to any history lover or history enthusiast. Virginia Historical Society will no longer offer light refreshments before Created Equal films. For more information on the Created Equal Film Series, visit Virginia Historical Society.